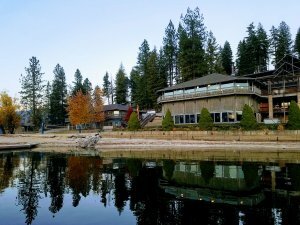 Just returned from our Quilt Retreat on Hayden Lake at Camp MiVoden. What a fantastic peaceful and productive time. Wonderful food and quality time with family (my mom got to join us) and friends. Bags of Love, Athena, OR will receive 8 quilt tops made by attendees who opted to participate in this charity initiative. Some participants chose to work on their own projects. I also shared a Quilts of Valor panel finishing design that makes two quilts with one set of instructions and finished both tops. Three accepted the challenge to work on their own versions of my Rondure pattern, progress was posted on instagram #rondurequilt. Always fun to see these come to life. I even finished my third Rondure - "Electric City". 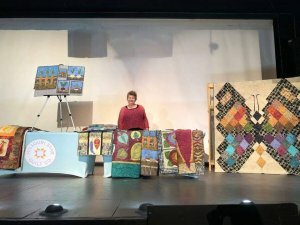 Recently the designer of the Boondoggle Rulers (Jayme Crowe of Bella Nonna Design Studio) was invited to do demos back at Missouri Star Quilt Company. She displayed my "Spirit Butterfly" as one of the ways the rulers can be used. I looked and the pattern is now offered through the MSQC website. Very exciting! This pattern and Cusco Alley ---the two new releases at Spring Market this year are also available at Hancock's of Paducah. Speaking of new patterns --this next week is International Quilt Market in Houston and my newest pattern "Sea Dance" will be debuted in the Island Batik booth. If you're a shop owner and will be at market, I hope you'll check it out! Several variations are written up in the pattern and all new patterns ordered will include UPC barcodes. 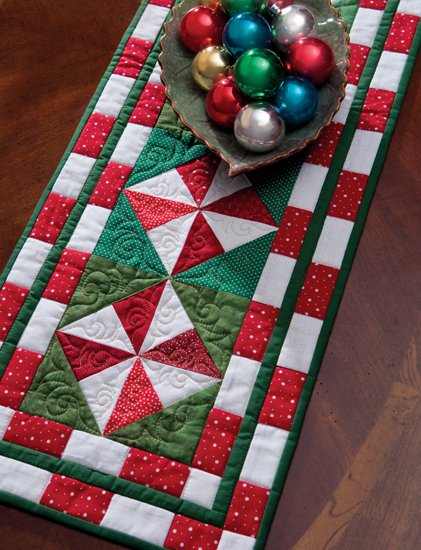 Look for some information about the quilt in your local Country Register in December. Row by Row kits can still be picked up in person, but if you aren't able to come to Grand Coulee, they are now available for purchase online on the website and will ship November 1. I've continued to add new products, not just to the website but in the shop too! Please check out the new arrivals online or make an appointment to stop by the shop and ask to see new arrivals. Two new flannel wide-backs will be added this week. Shipping is free when total purchase exceeds $75. Order ahead and select 'pick up in shop' if you're running tight on time but would like to pick it up in person. NEW monthly event for 2nd Monday of the month - 9am - 10am Show & Share for all quilters/crafters/sewers in the area. Optional opportunity to stay and sew/craft/work on whatever. If your group has special initiatives at various times of the year, here is an opportunity to share with the community and get additional participants. 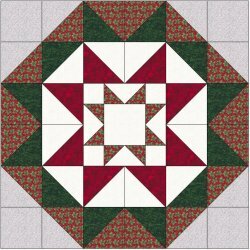 November 12 -- Show & Share --Bring what you've been working on; free pattern of a new design for a Quilt of Valor will be shared --it makes two quilts at once; stay and sew if you'd like. I'm planning some refreshments too. This may be a holiday for some, so hope to see many of you! Holiday Tree Skirt -- Week of November 11 -- possible dates are -Sunday; Tues morning; Wed, Thurs. or Friday - let me know what works best for you. RSVP by Nov. 9. On request I've designed this and will teach it to all who are interested. This would make a fun table topper in a variety of colors too. Stop by for the fabric requirements and options available in the shop. Check 'Seasonal' fabric category online for several options of the print fabric. Colors to coordinate also available. The grey in this image is not sewn in so that the topper is an octagon in shape when finished. 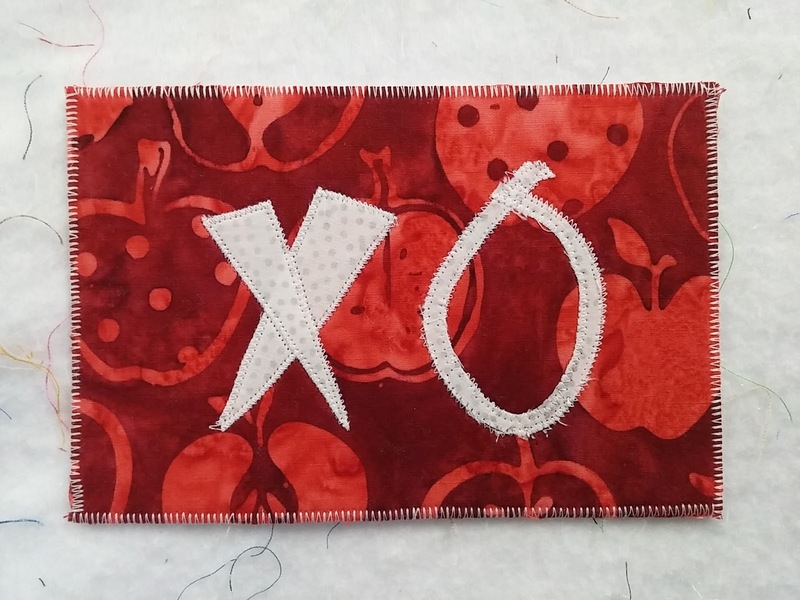 Part of the class will be to show you how to bind these non traditional corners. A quick holiday themed runner but any coloration could work with this design. Scrappy from your stash or come in and pick just the right fabrics for your own holiday table or the perfect hostess gift. Length of design adjusted in 9" increments. OTHER CLASS OPTIONS TO CONSIDER -- jelly roll rug; bag; patterns from Barbara Persing, Elizabeth Hartman, Violet Craft (english paper piecing--all by hand or foundation paper piecing), Sew Kind of Wonderful (new book with lots of seasonal wallhangings and curved ruler), Turning Twenty and Strip Therapy. Many options to choose in the shop from these last 6 designers. Make an appointment to come check them out and help me plan a schedule for classes. Check the 'patterns' category on the website for just some of the possibilities --come in for the rest! Aurifil has extended a great deal and I'm offering it right here in Grand Coulee. $14.99 gets you a spool of white thread and a box to put it in--your own brand new box! Typically here in Grand Coulee, I offer the spools at $12.50/spool and if you buy a whole case (12 spools) at one time, you get the case for $125. This offer will let you buy them at one or more a month until you reach 10, then you'll get the last 2 (to make 12) free. You can do this as often as you'd like, but is available only to the first 30 customers. Stop in and get your numbered box and fill it as many times as you'd like! 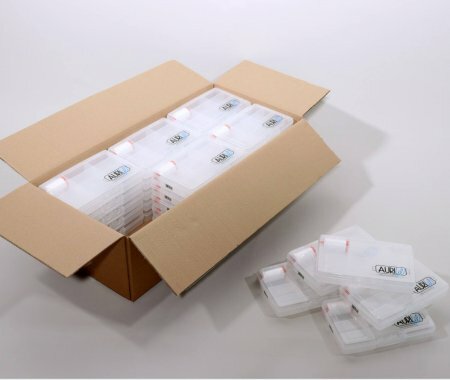 You must have the box in hand each time you purchase for it to count towards your total case purchase.